At the time of the Norman Conquest in the 11th century, old patterns of land-holding were changed and a new system of ownership and management was introduced, with great areas being set aside as Royal Hunting Forests under the direct ownership of the King or his Barons. 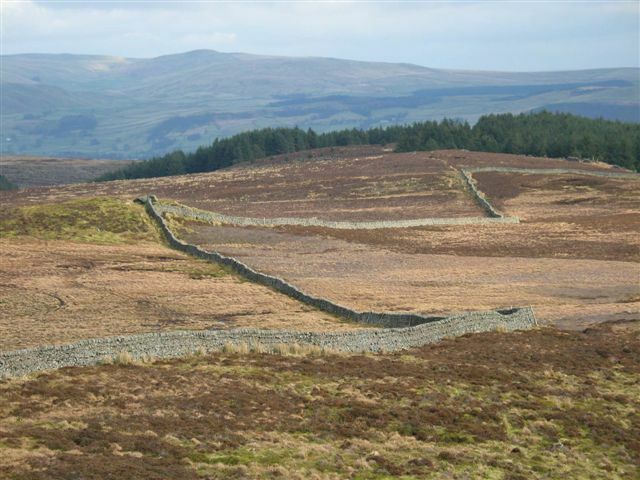 Because of this the pattern of enclosure, and thus the presence of historic boundaries within the Forest of Bowland AONB is different to that seen in the lowland parts of Lancashire. Hedgerows are the most common boundary, followed by walls and then fences. In many areas they are mixed together but, in general, the walls dominate the fells and the moorland fringe, and the hedges criss-cross the river valleys. 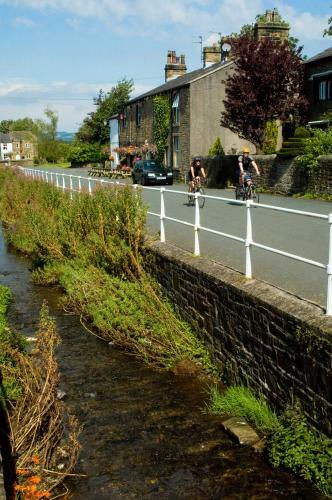 34% of all boundaries are hedgerows, 29% are walls and 17% are fences: in many areas they are mixed together, but in general the walls dominate the fells and the moorland fringe, and the hedges criss-cross the river valleys. Ancient enclosures tend to be irregular shaped with sinuous or curving boundaries, and 60% of those surviving today are bounded by hedges. In the past, these may have originated as low banks with parallel ditches, on top of which a hedge has grown up or been planted. Over one third of these boundaries were built to enclose land which had been claimed out of the Forest hunting land, which was probably a mix of open grazing, scrub and woodlands, in order to provide farm land. This is a process known as 'assarting'. Another quarter of these ancient enclosures were of the higher moorland, and 10% were of common land, by agreement between the commoners seeking to aggregate their landholdings. Some of the largest early enclosures were undertaken by the lord of the Forest (or with his permission) to form vaccaries – large cattle farms – some of which may have been grazed by the lord's cattle, others being rented out. They generally included both moorland grazing as well as more sheltered fields on the lower lands, and the vaccary centres form some of the earliest farms in the Forest. 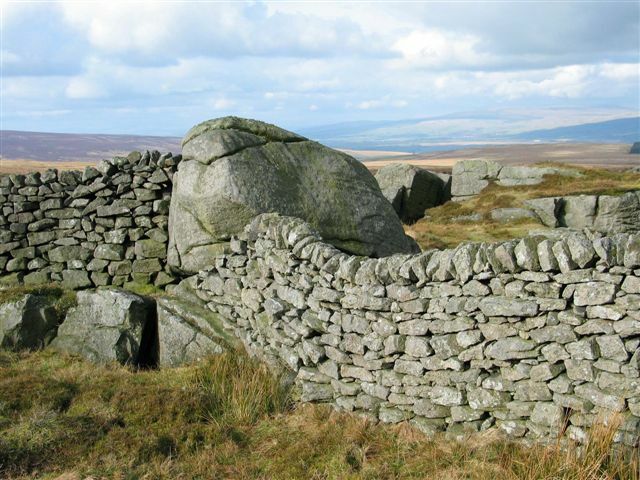 Post medieval enclosures brought more of the moorland fringe into active management and re-organised existing smaller and irregularly-shaped field systems. Enclosures of this period are more likely to have walls (52%) than hedges or fences, and to consist of large, regular, straight sided fields – at least partly because this was the easiest way to enclose the large upland areas. Most of the enclosure of moorland fringes and former common land was undertaken by Parliamentary Acts around the middle of the nineteenth century. Such Acts required the land to be enclosed by walls and for roads, bridges and gates to be constructed to allow access, all at the expense of those to whom the new fields were allocated. The result of this was that the landowners brought more of their land into direct control and that common grazing became much more restricted. Because of the large amount of new walling required, much of it was carried out by specialist contractors, resulting in a more uniform appearance than the walls built by individual farmers at earlier times. 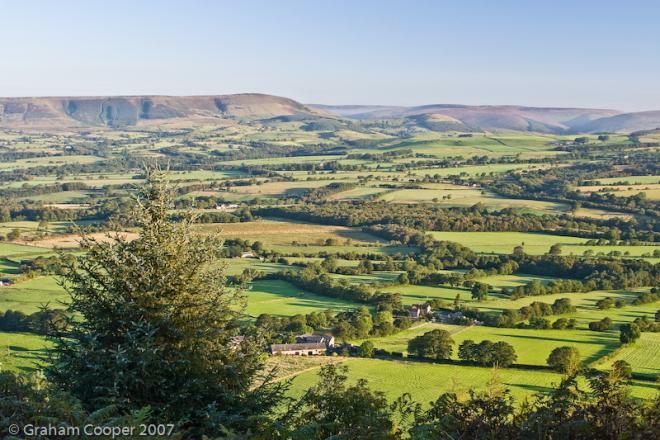 During this period hunting and shooting were also becoming more fashionable, and the wealthy were obtaining and developing suitable land holdings, such as those in the Forest of Bowland, for these purposes. 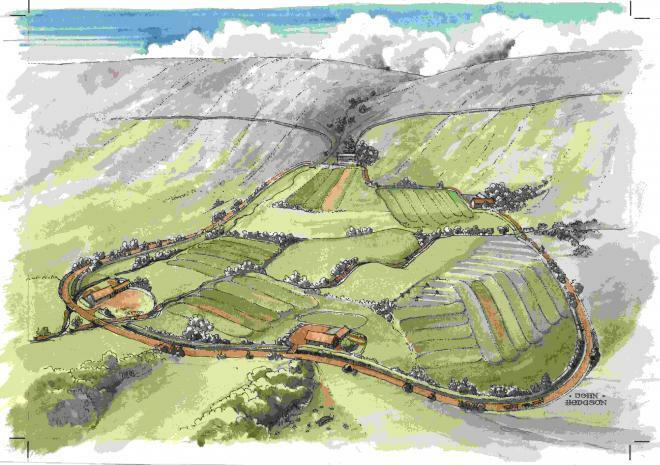 In Bowland the management of much of the higher moorland was changed to encourage grouse, whilst in the lower areas shelter belts and nursery crops were planted to support the pheasants that were being bred and released for shooting. In contrast to the walls running over the high moors, the lower valleys tend to be dominated by hedges. In some places new hedges were planted mainly with hawthorn, and have a very different appearance from the older, species rich, mixed hedgerows of the Ancient enclosures. It should be noted, however, that recent research has shown that most hedges have always been planted with mixed species, and that the dating of hedges by counting the number of species can be very misleading. Modern enclosures are fairly insignificant in the AONB and tend to be associated with forestry or the reorganisation of fields for modern machinery. Fences make up some 16% of the boundaries in the AONB, and are usually associated with these modern reorganisations or replace neglected walls and hedges. In some places, such as Chipping and Bleasdale, white-painted metal fencing is common alongside roads and lanes, particularly at corners and junctions. 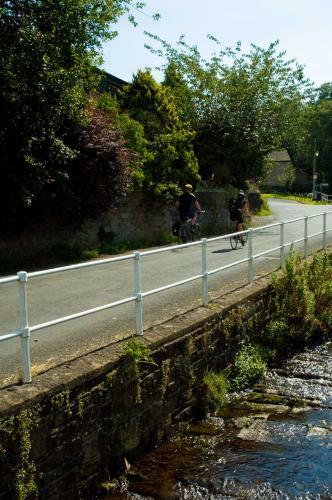 These fences, which often have a distinctive curved top and are made with flat section uprights and round rails, were put up by Local Authorities in the 1930s-1950s to improve visibility for the increasingly common motor vehicles.